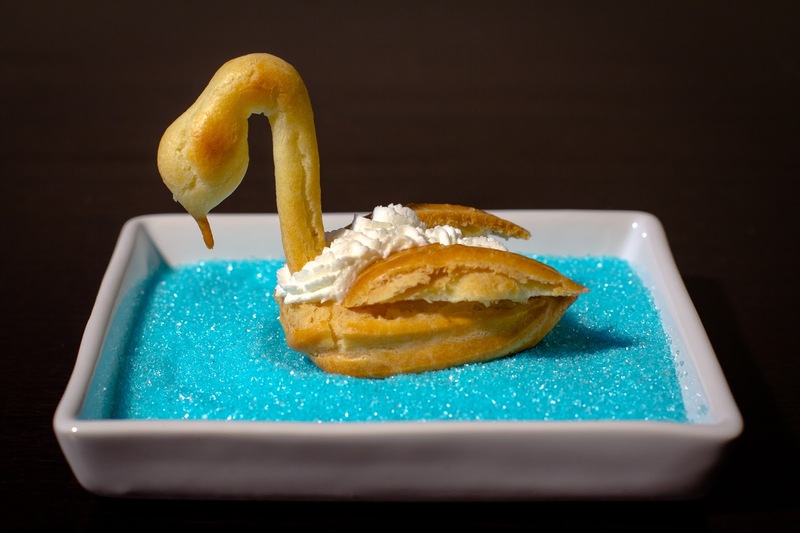 Little miniature swans made out of pate a choux. These artistic puffs are relatively simple to do, requiring just a bit of piping work and assembly. Similar to the eclairs and cream puffs, they have pastry cream filling, but then for a more textured, feathered look, a bit of whipped cream is piped on top. These swans were really fun to put together. It took a little time to get the proportions of swan bodies and the heads right. For a little bit of flexibility, I actually piped various sizes and matched them up after baking. 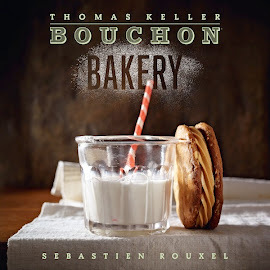 The dough is the same as that used for the eclairs, a stiffer pate a choux compared to the cream puff recipe. It was a little bit too elastic when I was trying to pipe the beaks but overall I managed. A fun take on the cream puff! This recipe turned out great! I was actually shocked that they came out so well. It's always a pleasant surprise when what I make looks like the pictures in the book. After reading the recipe thoroughly, I made sure to pipe the swan bodies, although some were larger than others. The necks were easy to pipe too, but I only got a few good pointy beaks. I made lots extra, so I could select the best ones to use. After cooling, I carefully cut off the tops and made the wings. So cute! One issue I'm having with this book is the fillings. This recipe calls for pastry cream, buttercream, and whipped cream, but only small quantities of each. However, I have to make the whole recipe of each in order to only use a little bit. Then I end up with leftovers that usually go in the trash because I don't use them up. It's a lot of work and very wasteful. I imagine in a bakery, there's always lots of various creams and fillings available, so it's much easier. So this week I only made whipped cream. since I had heavy cream on hand. I filled the swans with whipped cream, placed the wings and necks, and stood back to admire. They are so cute! I made seven complete swans from the best parts, just like the Xmas song... seven swans a swimming! These are a special treat, almost too pretty to eat! I was very pleased with the results, and with my revisions.